When I told my Mom the name of this site, the first thing she thought of was the Artful Dodger. "Isn't he a criminal?" Well yes, of course, he was, though he didn't exactly get away with his crimes. In fact, one could argue that the Artful Dodger was one of many poor street kids exploited by corrupt adults. Not to make excuses for him, of course, but there it is. And as crafty and scummy as he often was, he did have a heart, and he even had a bit of wisdom about him. I won't go so far as to say he was a victim--after all, he had his own mind and could make his own choices in life, choosing petty crime over any attempt at honest work (not that the job market for kids like him was all that great, but...). But his life does bring to my mind the issue of choice. Recently, I read a fantastic article by Dana Gioia, "The Catholic Writer Today" (linked on the Links page), where he rightly points out that the Catholic presence in the arts today is nearly invisible, unless it's to insult or denigrate the Church. So we get Serrano's "Piss Christ," or Ofili's "Holy Virgin Mary," a portrait of our Blessed Mother covered in elephant dung, or some other work that only succeeds in mocking the Church. Matthew Brooks and Seth Leibsohn of Jewish World Review rightly called this "religious bigotry." I've been "artsy craftsy" all my life. I'm a story-teller, sketch-artist, wannabe painter, failed watercolor artist, crocheter, past jewelry-maker, lousy knitter, poet, novelist and pretty good Photoshop artist. Even as a little kid, I'd create these sweeping sagas, all told with stick figures, and in high school, I became a pretty decent portrait artist. I even took a stab at choral singing (soprano), and played piano for a grand total of two years. So I'm pretty highly invested in the arts, and not just as an expression. The arts are always about the story for me, regardless of the medium. For me, the arts are human-centered, emerging from our lives, our values, our frustrations, our fears. They are escape, too, totally non-pragmatic, yet totally necessary for life. As the world has gone beyond secular and into outright depravity and hedonism, the Catholic voice in the arts is all the more critical. Catholics are no better than anyone else, but our faith is woven into the deepest parts of history--the longevity and consistent vitality of the Catholic Church demands that it also help to inform our culture. The arts also represent what we tolerate and what we condemn. It used to be that certain shows, shows that depicted controversial sexual relationships, for examples, were never allowed on prime time TV--now they're the stuff of reality TV at any time of day. Extreme violence was cut out, too, but now it seems like audiences want their TV violence to be increasingly graphic. Twenty years ago, HBO's Game of Thrones wouldn't have been allowed anywhere, but now it's popular among teens, who can watch it online any time they want, and sometimes even with their parents. Same for True Blood, and even Criminal Minds. Person of Interest, once an intriguing and exciting show, has devolved recently into endless gun battles, torture and mayhem, all masking themselves as story. And we keep on watching. Not that the Catholic artist shies away from controversy and violence. Any reader of Flannery O'Connor knows that her books are filled with gruesome violence--a family shot to death in the woods, a man who blinds himself with lye, a woman watches helplessly as three little boys burn her property--yet this is not gratuitous acts of violence. The Catholic has a spiritual understanding that enduring acts of violence can be moments of grace that can transform a once ugly soul and make it beautiful again, such as the Grandmother in "A Good Man is Hard to Find." But accepting depravity as the norm, as just one more way to live or another valid point of view, only drags the culture down by turning good and evil into vapid opinion. Once that happens, to quote Cole Porter, "anything goes," and then we're back to the disgusting downfall of the Roman Empire. I agree with Gioia, therefore, that Catholics have a responsibility to get ourselves out of the shadows and demand our voice be heard and taken seriously. That's where cultural recovery starts, which is why we must be artful about it. Survivor of the secular morass known as 21st century "culture." 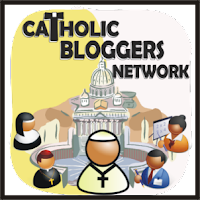 Committed to bringing thoughtful commentary on culture and politics from a Catholic perspective. ​This material may not be reprinted without permission from the author.